1. In order to have an easy and informative experience, I highly suggest signing up with a tour guide. Being able to fully understand what you are seeing, makes the experience so much more tangible and informative. Our tour guide was originally from an island in Southern Italy so she was this beautiful dark olive toned, wavy brunette whose heart was just solid. She was kind and so informative. She knew all the spots to take us and we had an amazing experience. I think we paid about $30 USD each for the tour but that included the ticket into all the museums. 2. Take lots and lots of pictures. There was so much to see that at some point I checked out of some places and would check back in at other places. Months later, I am looking at the photos and thinking, OMG, this place was amazing. 3. Do Vatican City in Two Days. We did it in one afternoon and I hated myself for it. 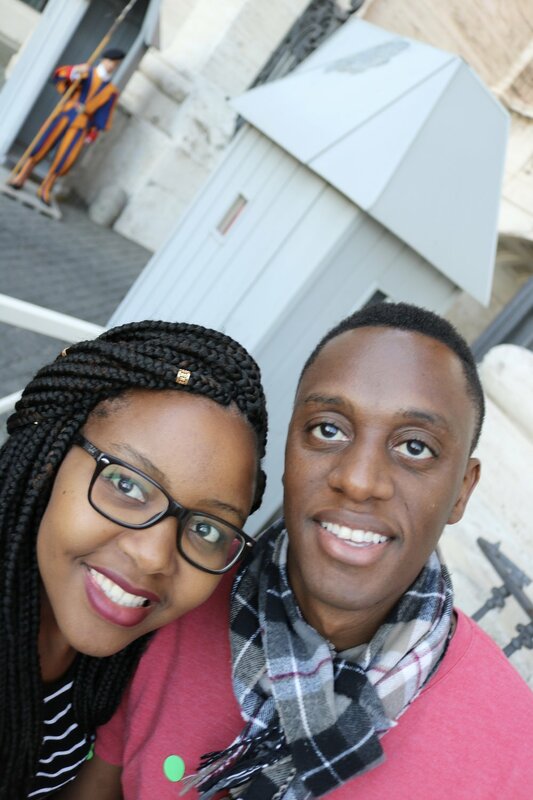 By the time we got to St. Peters Cathedral which was our last stop, I was so tired and exhausted that I couldn't really take it in like I would have liked. Doing a tour on the first day and then going back the next day to just recap would have been amazing! Also, start your day early and don't worry about travel. The public transport system is very easy to navigate and bus tickets are sold at most newspaper shops which are everywhere. 4. No pictures in the Sistine Chapel. Trust me guys, I really wanted to sneak one in. However, they are trying their best to preserve the painting (low lights, ACs, etc). The ceilings are so incredibly high in that room; I was just in awe at the brilliance of Michelangelo painting such an incredible spectacle with like no modern technology (you go!). 5. 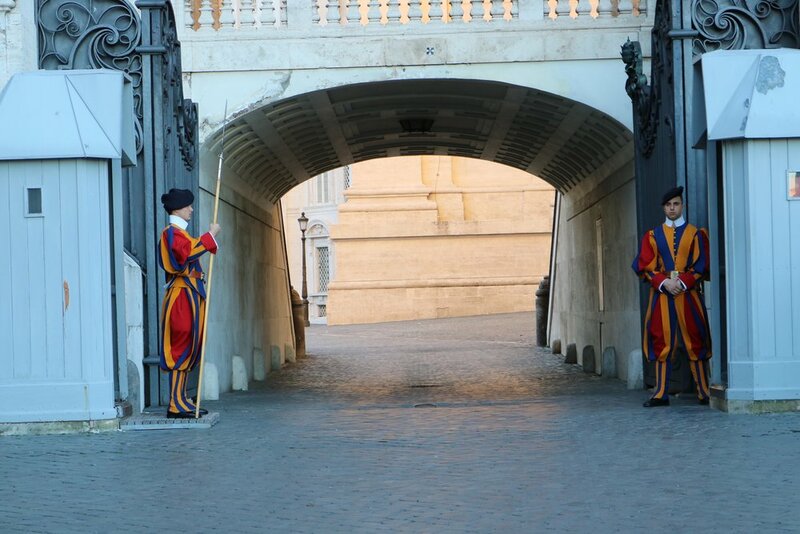 Take Pictures of the Swiss Guards. There is no uniform on earth I have ever seen that compares to that of these men. Although they are in clown suits, do not be fooled. These are a highly trained and specially selected bunch. Some of the qualifications to be a guard include under 30, Catholic, prior military experience, and of course, Swiss. There is so much that I could say about the Vatican, but one thing is for sure, it is old wealth. There are so many sculptures, paintings, precious stones and materials, and just historical masterpieces I couldn't believe it. There are so many small details that I could cover, but what is the fun in that! If you ever wonder, how does she travel? Traveling is a commitment to your pockets and also your life. Life is about experiencing new things, ideas, cultures etc. I'm not going to lie, it is very expensive to travel. However, there are many ways of making it cheap. For instance, take a friend or two so that you guys can split the costs. Eat out once a day at most but prepare most of your meals. When traveling, I always need to step foot in a local grocery store to get a feel of local foods. Use Airbnb or similar over hotels so that you have access to a kitchen. Pack light; you don't realize that having all the extra unnecessary items and space can be a waste of money (extra space to buy unnecessary items). Skip out on bulky souvenirs and stick to magnets or post cards or better yet, take your own pictures to print later as post cards. Don't go shopping casually whilst traveling. Do splurge on tour guides. These are just a handful of my tips. You all inspire me every day! 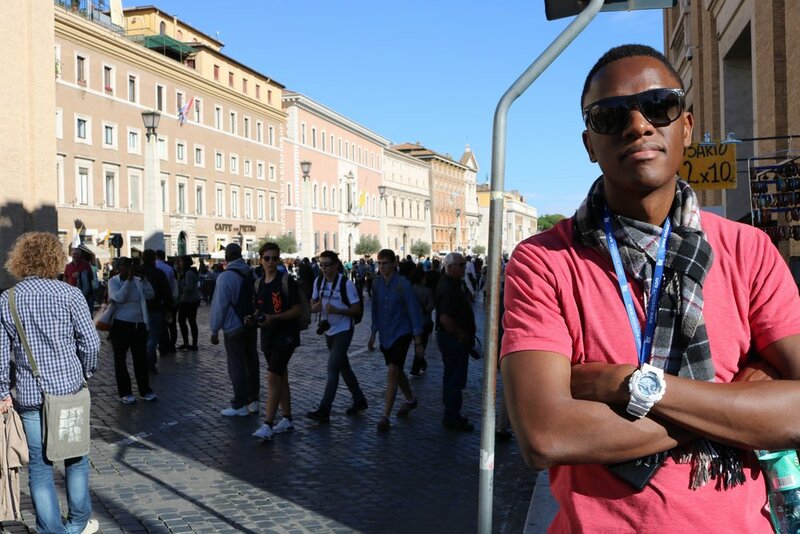 Thank you all for taking the time to read about my experience at Vatican City! Big Bisous!